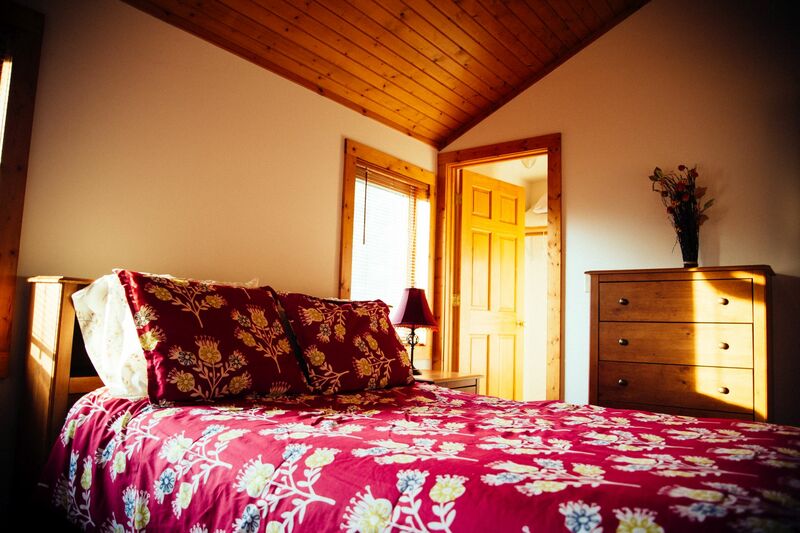 Special Offer: Book 3 nights and get 4th night for FREE! 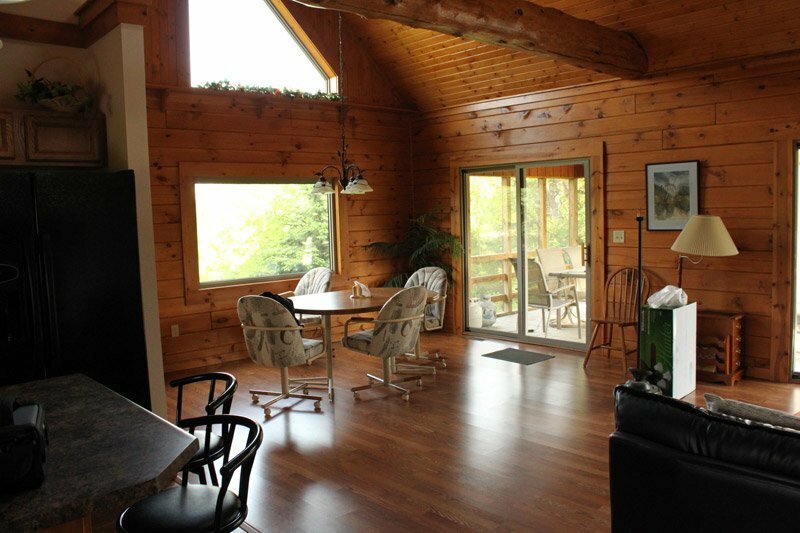 Situated in a nice and quiet area, Zen Luxury Log Cabin is a big, modern and comfortable place for you and your family and/or friends. 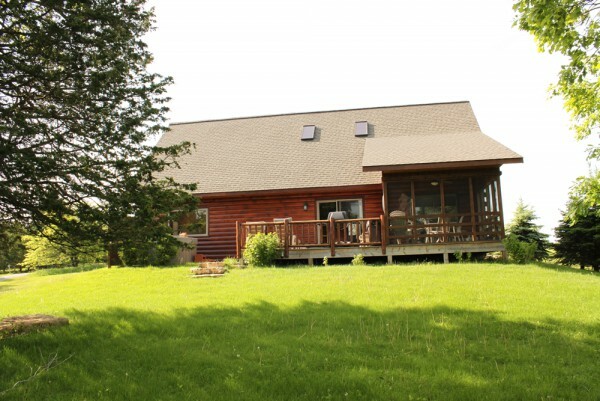 Whether you want to relax, take a swim or play tennis, this log cabin in Galena has it all! Are you thinking about relaxing in a nice, quiet place? 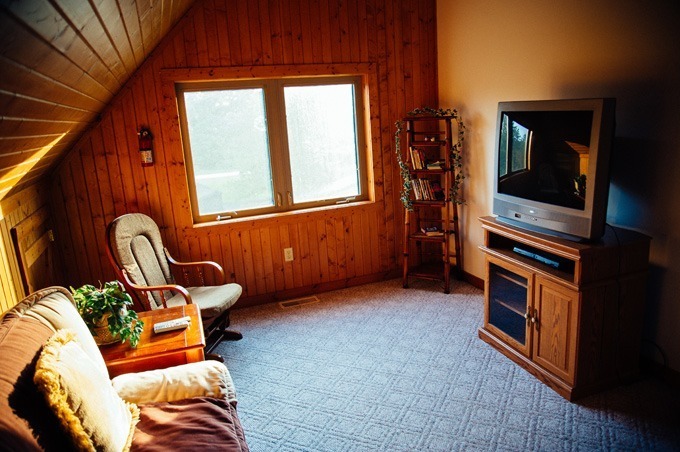 Are you looking for places to stay in Galena, IL? 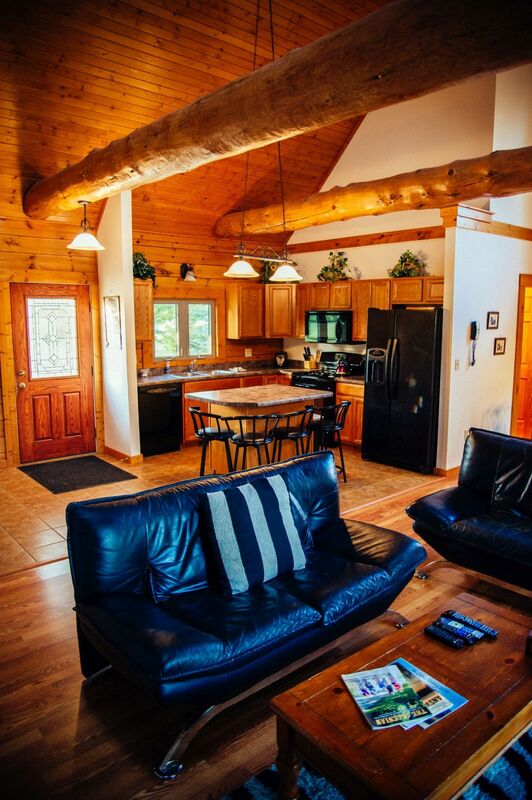 This Galena vacation rental is the perfect choice, being a wonderful, charming and relaxing location to take a break from life or to party it up. Walking distance is Lake Galena where you can rent a boat to cruise around, go fishing, or dock at random places and explore the forest. Check out wild animals and birds come to the lake to drink and hang out. Fish from the peer, enjoy volleyball, soccer, basketball and tennis courts, as well as one of the best Gold courses in the world! Nearby is Galena town with its civil war-era charm, private wineries with wine tasting every day, local cheese makers, unique sauces and sweets, as well as antique stores. Fine selection of restaurants, from fancy French, Italian, to small town diners and burger joints (one literally called ‘Burger Joint’, it’s awesome!). About 20 minutes away from our Galena, IL lodging facilities is the Mississippi river and town of Dubuque. There you can find casinos, fun bars and big river stuff. This is a great destination for a family vacation, or just a getaway. 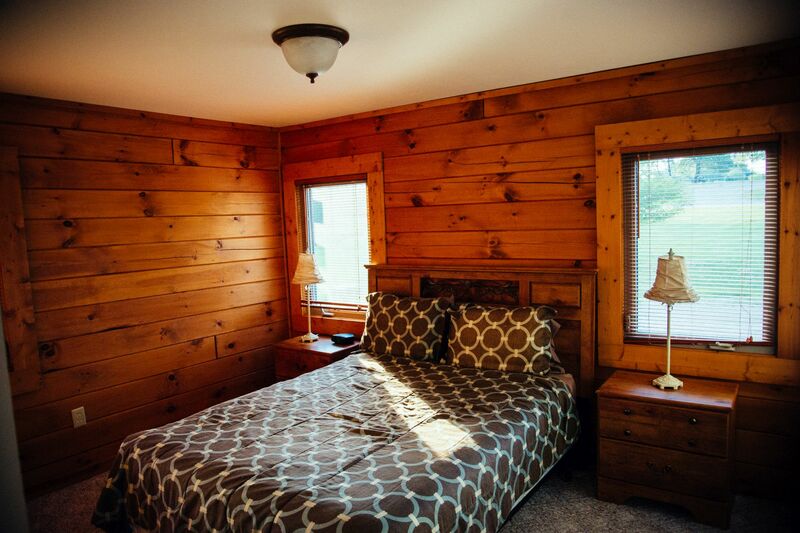 We can house up to 20 people in 2 getaway cabins. We rented the property as both a hunting week and then for a family gathering over the Thanksgiving holiday. 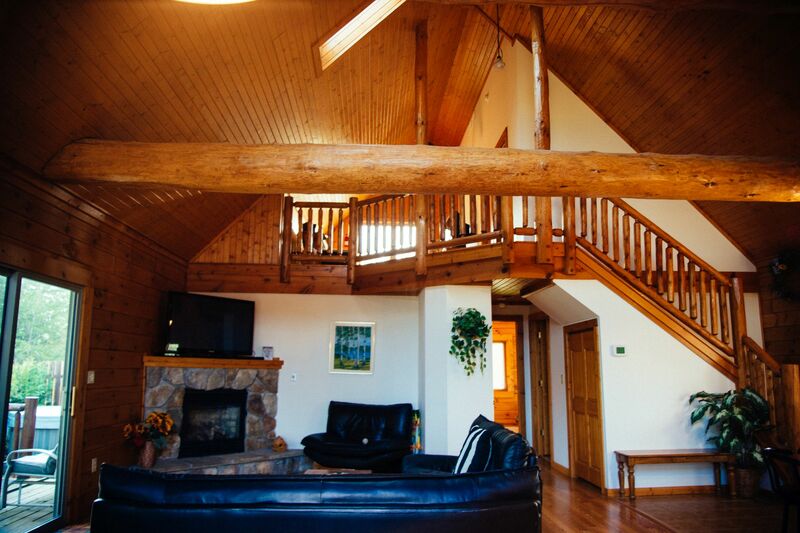 Both stays were wonderful with all amenities you need to have a full Thanksgiving meal. The owner (Tatiana) was great to deal with and quickly resolved what minor issues we had. I would definitely rent the home again and highly recommend the property for future family gatherings. You can also rent the home next door for larger groups. We spent the first week of May in the cabin and loved every minute of it. What a beautiful property. We felt right at home and didn’t want to leave when it was time to go home. The design is very nice as well as the furnishings. We really enjoyed the screened porch/deck. We saw wild turkeys wandering through the yard almost every evening. Tatiana was so easy to work with for our booking and actually called us at the cabin the first day to make sure we had everything we needed. Jeff was great about answering our questions and making sure everything was ready for our arrival. We will definitely stay here again when we visit the Galena area in the future. 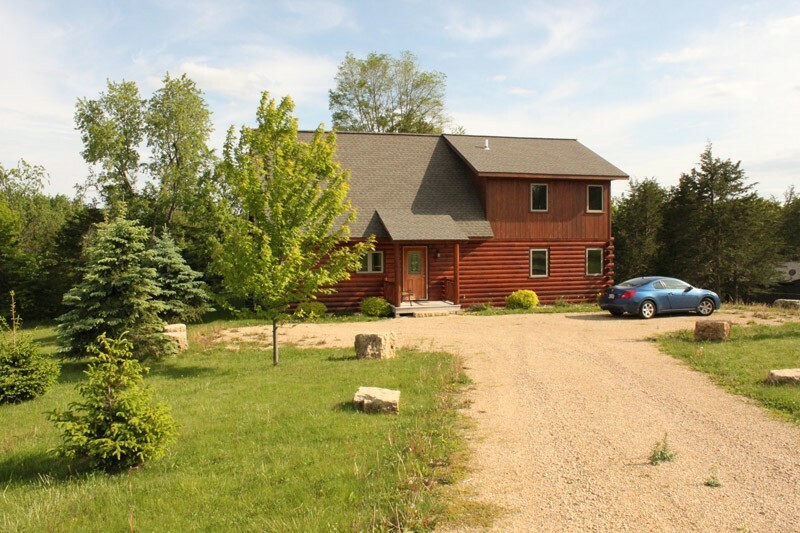 The property is just a short drive away from historic downtown Galena. I would highly recommend this property. The house was great, the clubhouse and new pools were wonderful and the area was beautiful. My family came up for a week and it was a very relaxing week. We were greeted by Jeff and he gave some great fishing tips to my husband and son and they had great luck fishing in the evenings… the pools were great, the people friendly and it was a wonderful in all kinds of weather. Thanks to Tatiana for sharing her home. PS.. there is great wild life to watch from the screened porch. Our family stayed at the 8 Waterford property and we had a great time. The house was very spacious and we had a lot of fun exploring the Galena area. The clubhouse and pool were great. We have 13 month old twins that had a great time in the kiddie pool. Our 6 yo daughter also had a great time in the pool. The serenity of the place is overwhelming. This is the first time I felt totally at peace in a long time. Walking through forest trails, went down to the lake, rented a boat and went fishing. No people, no noise, pure crisp air – wonderful! The owner was very responsive to all of our questions before booking the reservation as well as during our stay. She even called us during a heavy snow fall to be sure everything was ok. The driveway and street was plowed by 11 am. We loved the open concept layout of the home. With high cathedral ceilings throughout, the loft area allows a spectular view of the great room, kitchen, and dining area. The large flat panel TV above the fireplace in the great room can also be easily viewed from the kitchen and dining area. One of the best features is the private hot tub located off the deck in the backyard. Since we like to vacation with our two dogs, we really appreciated that the home is pet friendly. We enjoyed walking our dogs on the streets of the Territory. The area is scenic and beautiful. The drive to the Eagle Ridge General Store is only 10 minutes, and the drive to Main Street is only 15 minutes. What an excellent way to spend a long weekend!